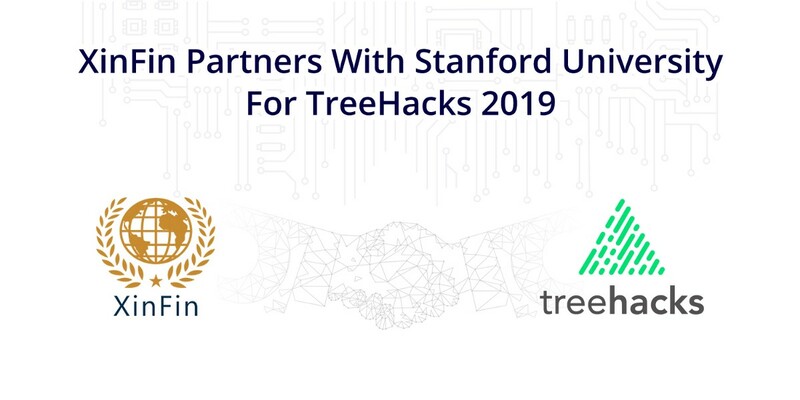 TreeHacks 2019 is conducted at Stanford University and has partners such as Microsoft, Walt Disney Company, Facebook, Cisco, and over 2 dozen Silicon Valley companies. XinFin recently started its R&D efforts with some of the best developer minds in San Francisco Bay Area, home to the world’s top technology brands and blockchain projects like Ripple and Stellar. TreeHacks attracts over 1000+ technology geeks from San Francisco Bay Area and Stanford University. The participation will help XinFin evolve its hybrid blockchain platform for enterprise utilities and global trade and finance markets. XinFin’s goal for the TreeHacks 2019 is to attract best global developer talent to contribute on XinFin Network. More details on Open Hackathon at GitHub. The focus areas will be further improving the XinFin DPoS consensus (XDPoS) for efficiency and scalability with KYC enforced nodes which makes XinFin Network more suitable for Institution and Government use case adoption. Cross Blockchain Interoperability (Relay Bridges) of XinFin Network with R3 Corda network. Live Hackathon on XinFin Network. Contribute to XinFinOrg/Open-Hackathon development by creating an account on GitHub. 4 p.m.-10 p.m.: Hackathon begins. XinFin team introduces people on what it does and its vision for attending TreeHacks. 10 p.m.: Opening ceremony begins. 1 a.m.-12 p.m.: People form teams and brainstorm. 12 p.m.-12 a.m.: XinFin helps hackers with the project and explain them on how to proceed. 10 a.m.: Hacking gets over. 10 a.m.-2 p.m.: Winners are decided. 2 p.m.: Winners are announced. 2 p.m.-5 p.m.: Q/A discussion with developers. Follow XinFin on Twitter (@XinFin_Official) and Telegram (https://t.me/xinfin). TreeHacks 2019 is an annual hackathon conducted at Stanford University where developers turn crazy ideas into real stuff. Hundreds of hackers from across the globe with gather and build something they’re passionate about.